♪ Solar Powered: Non-stop music enjoying during the outdoor activity. 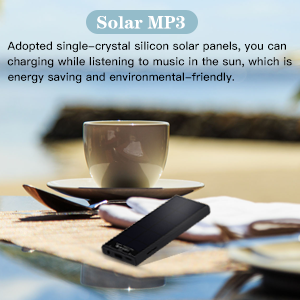 The MP3 player adopts monocrystalline silicon solar panel. You can charge it while listening to music under the sun. Energy-saving and environment-friendly. 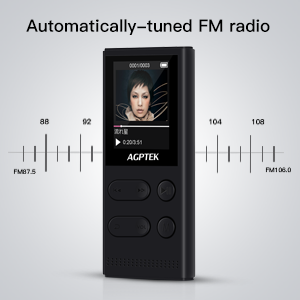 ☀☀☀ AGPTEK MP3 player bring you beyond imagination stereo sound feeling at a affordable price, with a foolproof operation that has all main functions visible at a glance. 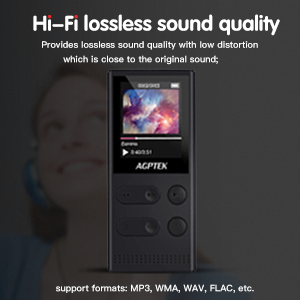 Ideal music partner for adults and kids.Genuine AGPTek Product. Avoid Low quality copycat.No worry about no battery ever, you can charge your mp3 player under the sun. Just simple ,it’s great for you running walking cycling and driving for a good music experience. FM radio must use wired earphones to listen. When you can not find radio program,can use ‘Auto tune’ to search radio program.when search finish use ‘OK’ to choose program. 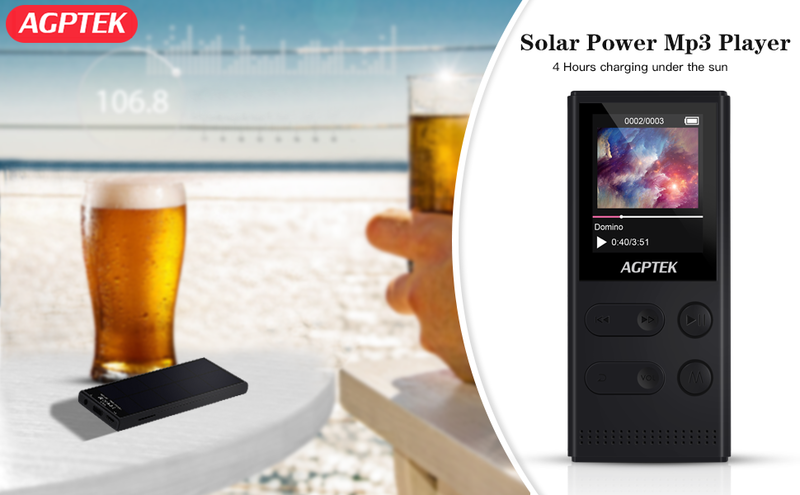 The MP3 player adopts monocrystalline silicon solar panel. You can charge it while listening to music under the sun. Energy-saving and environment-friendly.60 hours of playback time with wired earphone. 2h electricity charging or 4h solar charging for 60h music playing. You can charge it with computer or the general charger which output is “5V, 0.5-1A” or you can charge for 4 hours under the sun. That will be no songs limitation if you choose music from Folder option. 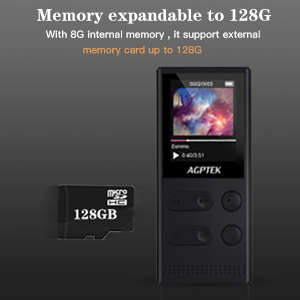 To avoid incompatibility, please use AGPTek Memory Card. (Not support Audible and WMA DRM directly). You can access the mucis world widely. mp3 player.It makes the things you do most even better. 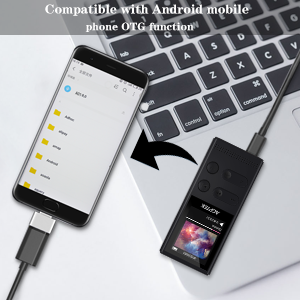 Compatoble with Android mobile phone OTG function.